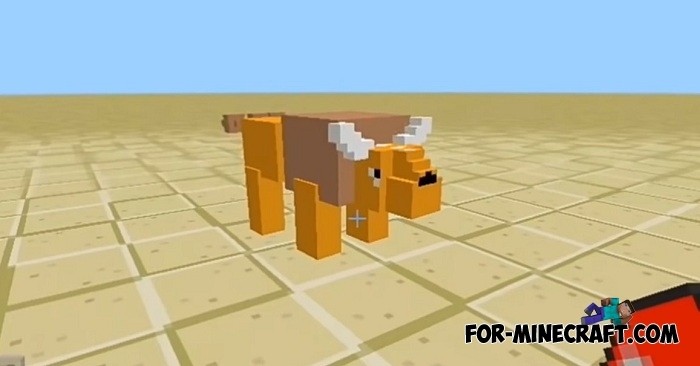 If you are still playing versions older than 1.8.0.8, then better go here - the PokeCraft mod and download the full version. 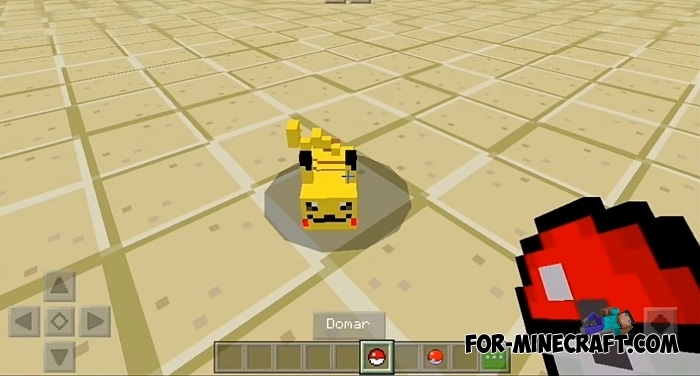 But there is a simpler and more convenient option that adds pokemons to Minecraft Bedrock Edition and this solution is called the Pokémon addon. 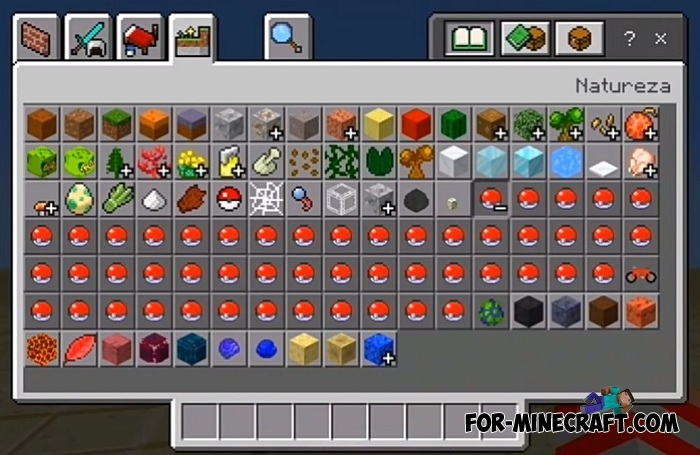 It introduces 22 pokemons as well as 51 pokeballs and several related items. The concept of this addon is battles between players. You, the second, the third and other players choose one pokemon and spawn it, after which a fight takes place in which the strongest wins. 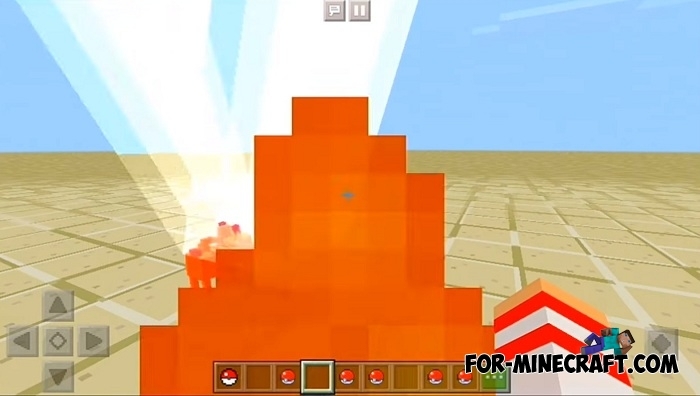 If you do not consider multiplayer, then pokémons can be excellent helpers in solving problems. How to tame and what pokemons can do? Taming each pokemon is required. It is done using taming pokeball, and it can also restore the health of some pokemons. A tame pokemon is able to carry you on its back (not all pokemons are able to) and also carry out some orders. 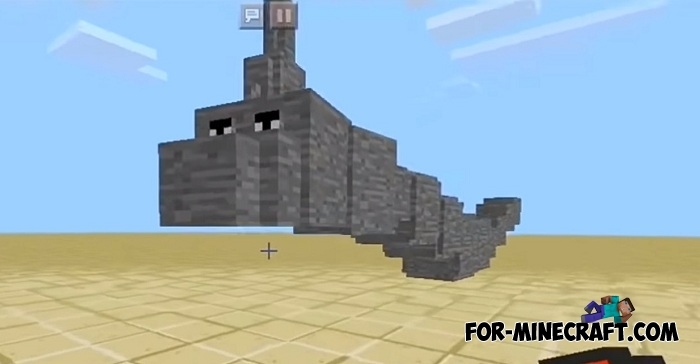 If you need to beat the enemy or defeat Ender Dragon, then the whole army of Pokemons will be most welcome. Their power is limitless when there are many of them and each is unique in their field. Take more pokeballs and call a crowd of completely different pokemons. 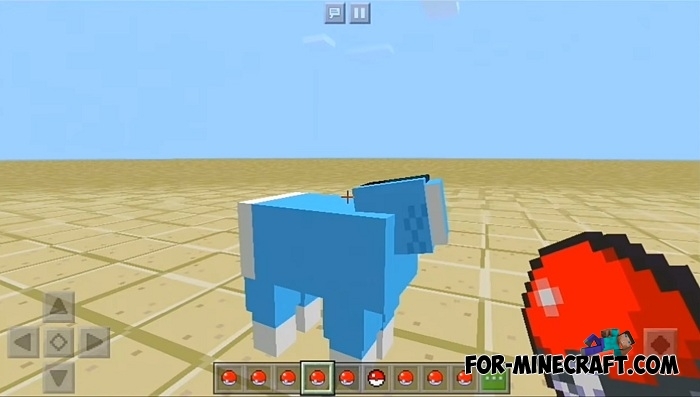 How to install the Pokémons addon?